Eventually everything becomes a thread as I stumble across the diverse creativity of people in general. 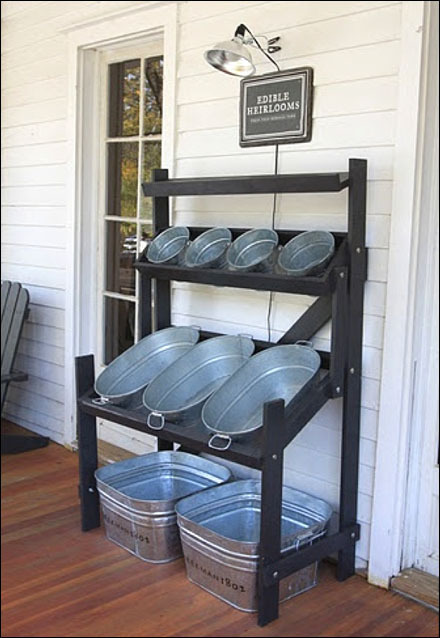 Here galvanized Buckets, Tubs and Pans become bulk bins in a homemade fixture creation. 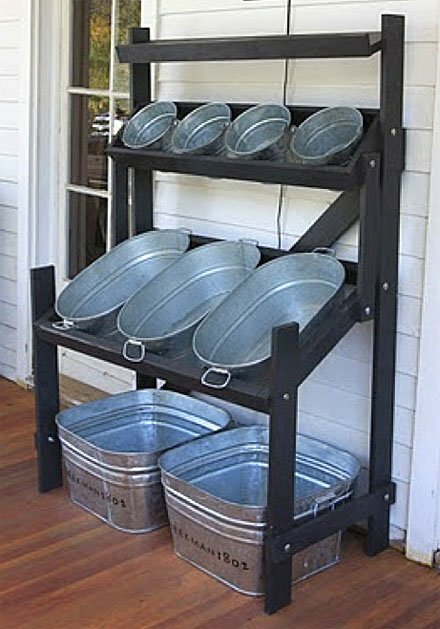 Wash Tubs Make The Best Bulk Bin Displays, don’t you think? CLICK the thumbnail for an alternate view. Many thanks to the Retail Display Inspiration Pinterest Board of Layla. Check below for related threads stretching off in various directions. Why not follow them all to see what you can find across all of retail. “Bushel and Peck Pinterest Board“ for a visual summary.